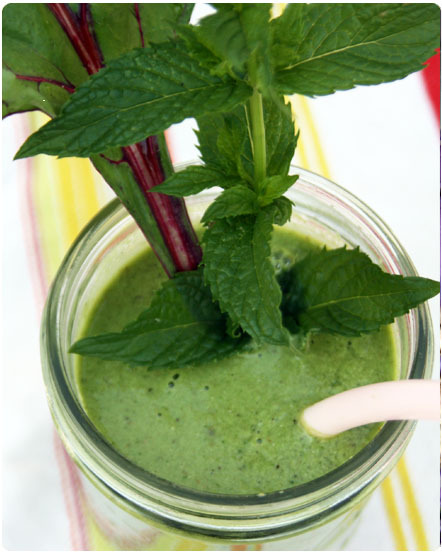 Smoothies are nothing new, although green versions are popping up like weeds in cafes and juice bars. If you’re on Pinterest, you’ve probably pinned a zillion recipes already but this is my go-to version. I started making these regularly for breakfast over the summer, sometimes alternating them with protein shakes. I played with a variety of ingredients and techniques but landed on this combo of fruit, veg and “power” ingredients to maximize benefits without loading on too many cals. Beets: I totally dig beets with carrots as an occasional substitute. The key to a great texture with beets is grating them…preferably with a microplane grater to get an ultrafine texture that isn’t overbearing. 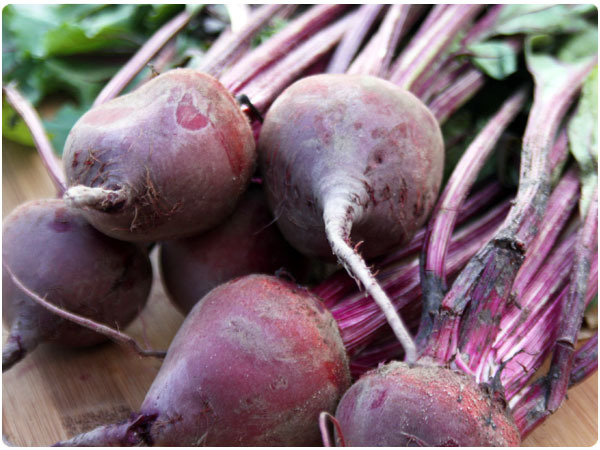 Red beets will give you a gorgeous magenta smoothie but chioggia or golden beets will get masked by your greens if you’re more of a green smoothie literalist. Greens: I say ‘greens’ because you can really use whatever you like or have on hand. 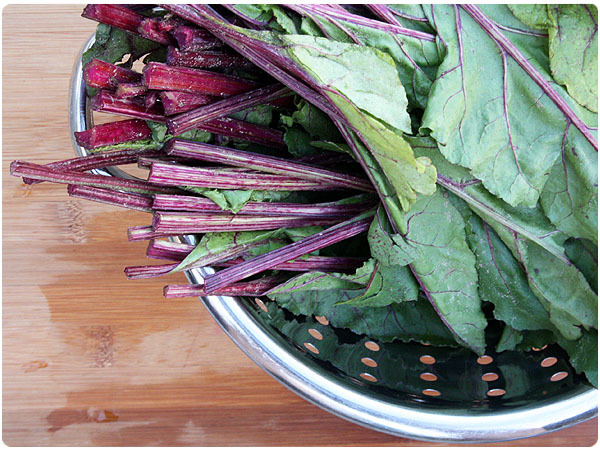 Spinach, chard and beet greens (double duty ingredient!) will give you a smoother texture than kale, which tends to be a little coarser but still tasty. Fruit: Use what’s in season or your favorites. I like pineapple as a base because it’s ultra juicy. Liquids: After trying various combos, I settled on unsweetened almond milk and coconut water as my liquids for the relative nutritional benefits with fewer calories than juice or milk. Chia Seeds: Relatively flavorless, these antioxidant and omega-3 packed gems also help me to feel more full. I personally like the ground version but you could use whole seeds. Greek Yogurt: This is an optional thickener and smooth-ier. I like the protein it adds but you could skip it if desired. 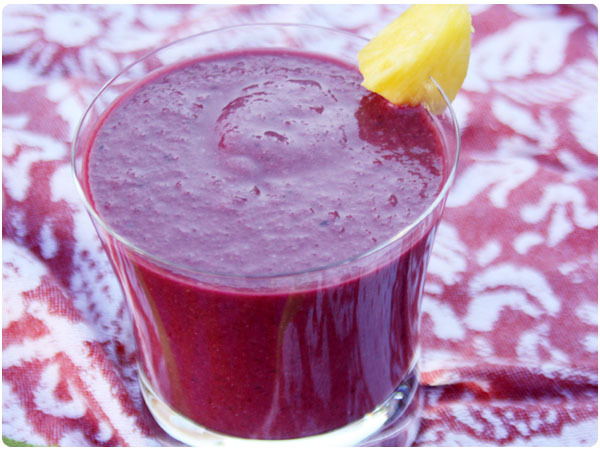 Add greens, cucumber and grated beet to a blender with almond milk and coconut water. Blend until smooth and all large chunks are gone. Add chia seeds and any fruit that is more fibrous or firm, such as an an apple or pear. Blend again. Add pineapple and any additional fruit. Blend again. Finally add lime juice and yogurt and give a final blend. Multiple blends will help you get the smoothest texture so if you prefer it smoother than after your final blend, pulse a bit longer to gain desired texture. Busy mornings? 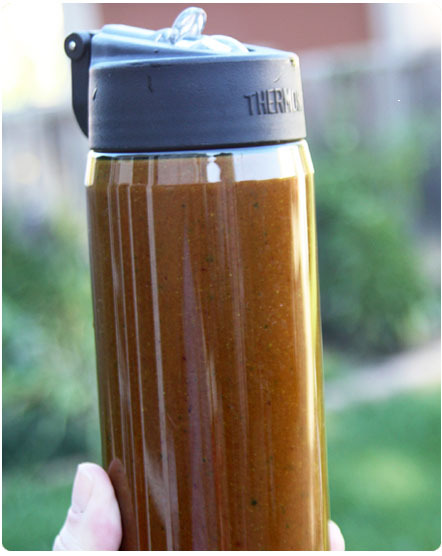 Make your smoothies ahead of time! Since one batch will make two smoothies, you can make one for yourself and someone else or make two days worth of breakfasts at once. I like these Thermos brand bottles that I found at Target. They hold a perfect amount and have a straw for convenient sipping in the car or at my desk.